It's difficult to say in English exactly what Abi could possibly be thinking, as we prove in today's episode. As armchair psychologists viewing an edited TV show, what can we or anyone else say about her character? Should we have a measure of sympathy for her, or is she finally getting what she deserves? And, beneath all of the drama, things move on: one of the season's villains exits the game, and some of its heroes make plans to win it. Is the final four deal we were shown showmanship by the editors, or is it a realistic possibility? And, after struggling so hard to make it to this stage, did Penner potentially throw away a million dollars? All this, and more, on this week's show, available below, for download here, or on iTunes here. This is going up hours before the next Survivor episode and the day before Thanksgiving, showing that we're not as good at pleasing an audience as Lisa was. Nevertheless, there was a lot to cover this week, and cover it we did. How did Penner go from being under the gun to over the moon in the space of three days, and were his allies right to let this happen? What can be made of the Penner-Lisa dynamic and his journey through the fourth wall and into her personality? Is this the end of the Axis of Evil, or can Pete and Abi save themselves? And just how credible is Malcolm's promise to help the world's children instead of tending bar? All this, and more, on a belated edition of the podcast, available here, below, or on iTunes here. It's been one year since this pirate ship set sail, and to mark the occasion we're joined by poker superstar Daniel Negreanu for an interview exploring how an elite gamer processes Survivor. In today's show we get Daniel's thoughts on shared traits among great Survivor players and, by contrast, common game mistakes weaker players make. Plus, he gives the full story about his being asked to be on Survivor himself, we get his take on the current season (through episode 7), and we find out more about his old friend Boston Rob. Listen to this episode using the player below, via the direct link here, or find us on iTunes here. We apologize if the sound is muffled - we were calling Daniel's cellphone, which apparently alarmed Skype and the recording program. For freshly inspired players, Daniel's poker training site can be found here, and you can find him on Twitter at @RealKidPoker. Every week, this Survivor season becomes more and more crazy, and our analysis becomes more and more incoherent. With the dismissal of fan podcast favourite Jeff Kent, how could and should the game play out from here? Are any and all returnees still marked, or are things looking up for Penner and Skupin? Now that Lisa is at the front of the stage, will she be left standing at the end of the drama? And finally, the burning question that has everyone talking: what does this mean for Artis?! All of this, in a reasonably punctual fashion, on this week's podcast, available below, here, or on iTunes here. Link fixed for iTunes, hopefully. Bonus episode with Daniel Negreanu coming soon! In case you weren't aware, Jeff Kent doesn't want a veteran to win, hurricanes are wet, and Obama carried Massachusetts. What was really behind Jeff's anti-veteran crusade, and does he deserve the criticism that the fan base has been delivering to him after his move last week? With three idols and more voting blocs than fingers in Jeff's handshakes, what should have happened this week and what could happen in future ones? And is Carter finally developing the capacity for human emotion? We tackle all of these questions and more in this week's show, available on the player below, HERE, and on iTunes HERE. 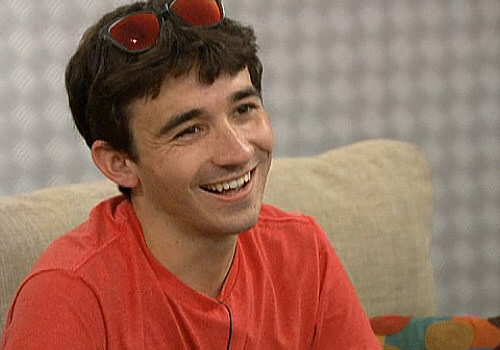 Last July, Ian Terry entered the Big Brother house a reality superfan with fake glasses and non-negligible OCD. Three months later, he left as a champion with very real bragging rights and a non-negligible bank account. Today he joins us to explain how it all happened. Beginning with the casting process and working round by round through Big Brother 14, Ian sheds light on previously unanswered questions and offers his own real-time thought process from within the house. Additionally, having listened to our Big Brother Winners/Notables megacast, Ian responds to the criticisms we made of his game and sets the record straight on several of the more mist-ifying events of the summer. Plus, what has he done so far with the half million? What kinds of terms is he on with the rest of the cast? Where does he rank himself compared to previous Big Brother winners? And why so much enthusiasm for ducks? Find out when you stream this episode below, find the direct link HERE, or find us on iTunes HERE.